Search Destiny Quest for books and preselected websites. Better quality and authoritative results than a search engine. Book on your topics have been pulled and placed on a book cart in the library. Search Destiny Quest for pre-selected websites too! Don't forget to cite your sources. 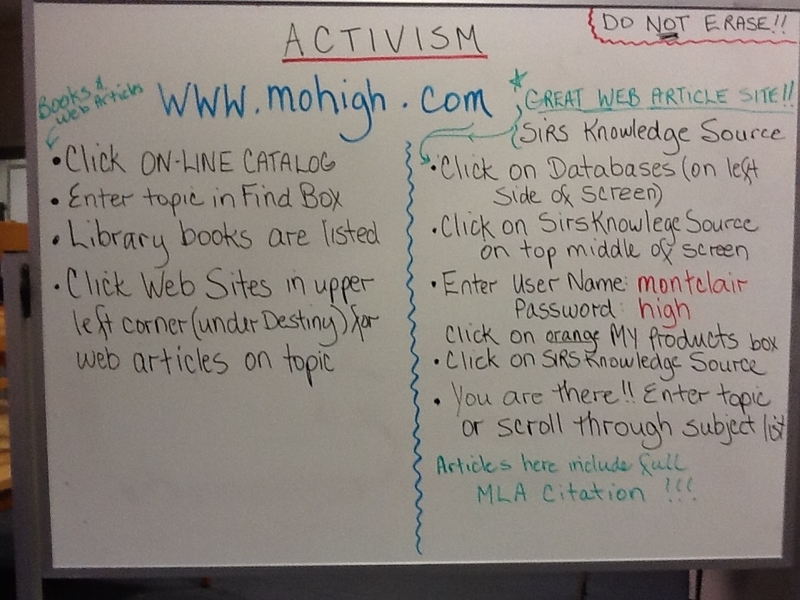 Use the MLA 7 Citation Slips available at the Circulation Desk and/or see the Teacher Handout page for more detailed info. NoodleBib Express and Son of Citation Machine are also helpful. Need help writing a thesis statement, developing an outline, prewriting, writing your intro, body & conclusion paragraphs, or proofreading? Your teacher's handouts & this website can help. This custom search engine produces results from websites pre-selected by your Teacher Librarian. They have been evaluated for Relevancy, Appropriateness, Detail, Currency, Authority and Bias (RADCAB). Use this tool before using your favorite search engine.